From 82€ per night - 197 rooms of 7 types. Excellent sea view. 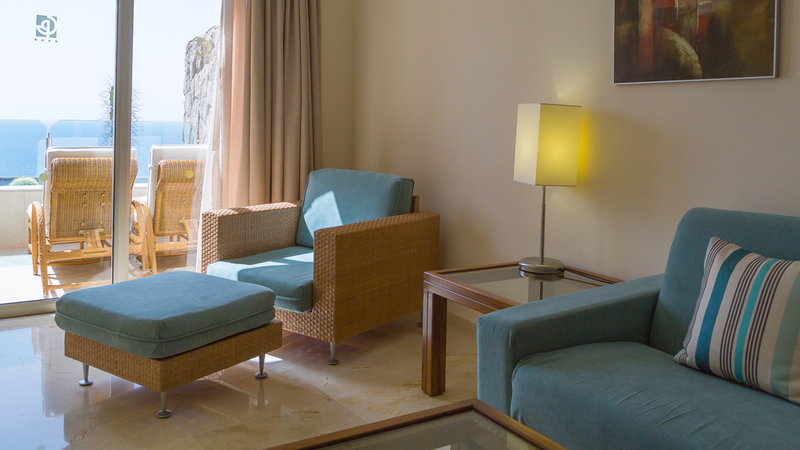 Spacious rooms with balcony, which offers you the best view to the beach of Amadores. 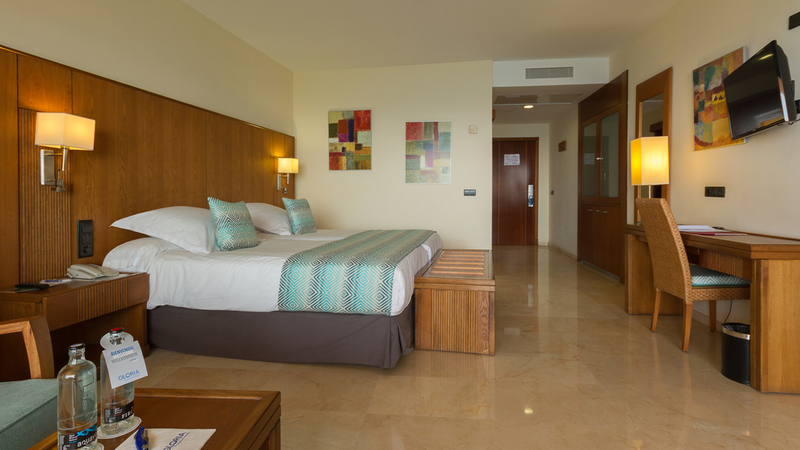 Luxury rooms, furnished with elegance and with the comfort you need for a dreamlike stay. You can surf in the internet with the free WIFI. Bathrobe and slippers for the use during your stay in the hotel are included, daily circuit in the Spa and a bottle of water as a welcoming present the day of your arrival. An extra satisfaction is guaranteed, the light floods the room with a great view to the ocean. 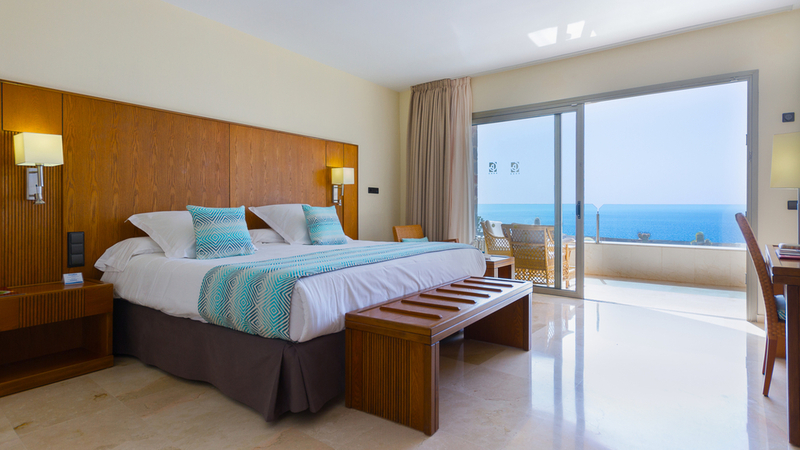 They are exclusive rooms with a separate living room and a terrace with sun loungers. Bathrobe and slippers for the use during your stay in the hotel, daily circuit in the Spa and a bottle of water as a welcoming present at the day of your arrival are included. You can surf in the internet with the free WIFI. 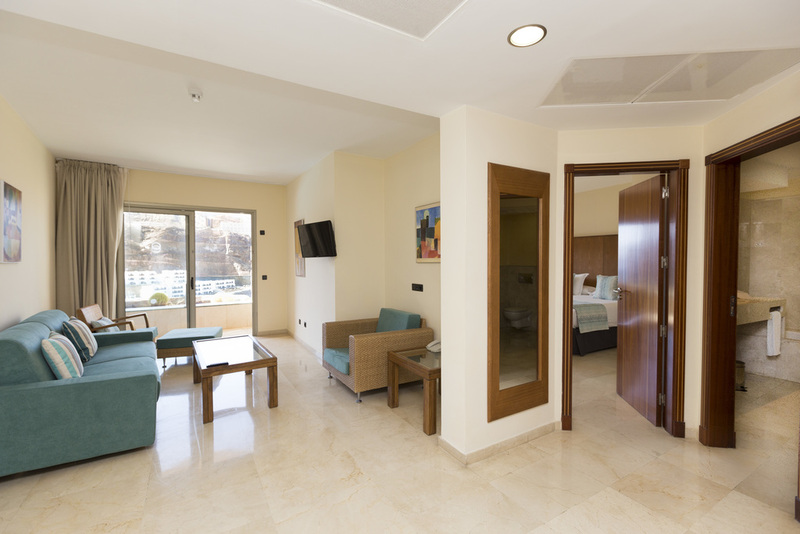 Suites of 1 or 2 bedrooms with spacious and separated living room with access to the balcony. Fully furnished and decorated. It features a spacious terrace with Jacuzzi and hammocks, with spectaculars views over Amadores beach. 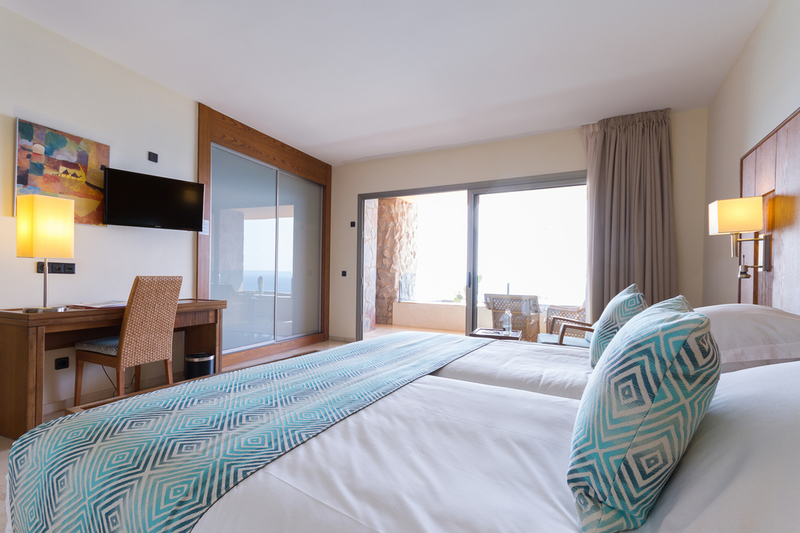 A luxury bed room with a great double balcony with a spectacular view to the beach of Amadores, indoor jacuzzi, bathrobe and slippers for the use during your stay in the hotel, daily circuit in the Spa and a bottle of water as a welcoming present at the day of your arrival. 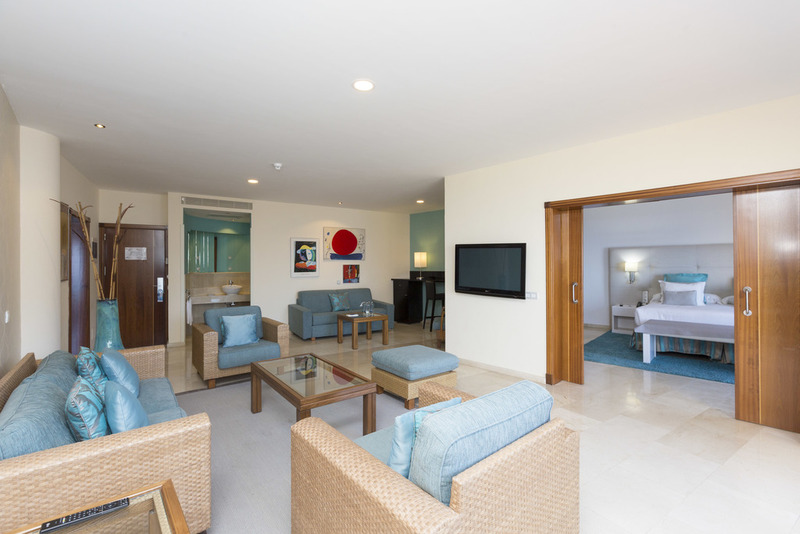 Spacious separated salon with a direct access to the balcony and a living room with a big plasma satellite TV. An extra luxury, which is available only for few. You can surf in the internet with the free WIFI.